1. 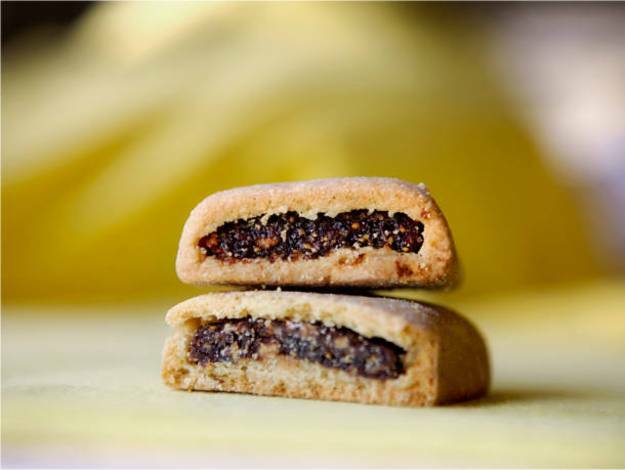 Fig Newtons were created in 1851. 2. They were almost called “Fig Shrewsbury” before the name “Fig Newton” caught on. 3. According to Nabisco, Fig Newtons were either named after Sir Isaac Newton or the town of Newton, Massachusetts. 4. Fig Newtons are the 3rd most popular cookie in the United States. 5. An alternate origin story for fig newtons involves Charles Roser from Kenton, Ohio who sold his cookie recipe to Nabisco in 1910.
some content is courtesy of FoodReference.com, used with permission. January 16th is National Fig Newton Day!